The new RX L is the first seven-seat version of the RX luxury SUV, with a longer rear profile and slightly steeper tailgate, ensuring comfortable headroom for anyone sitting in the third row of seats. 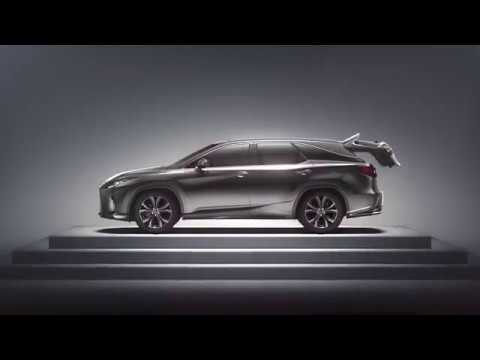 Available to test drive at Lexus Bristol, Canterbury, Gatwick, Tunbridge Wells, and Cardiff, purchase a new RX L Luxury before 30th June 2019 and receive £2,000 towards your deposit when you take finance with Lexus Financial Services. Contact Motorline Lexus in Bristol, Canterbury, Gatwick, Tunbridge Wells or Cardiff for more details about this offer and to arrange a test drive.